Access Automix Temporary Cement is the perfect choice for longer-term temporary use. The automix formula sets to a permanent semi-elastic state for better resiliency, minimal cleanup and easy removal. 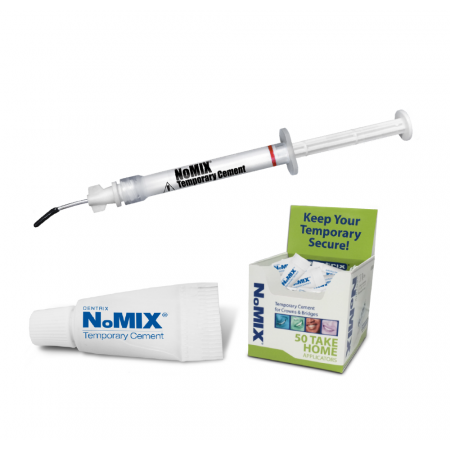 Eugenol-free, Access Automix Temporary Cement won’t interfere with bonding agents or other resin materials that may be used in the final restoration. 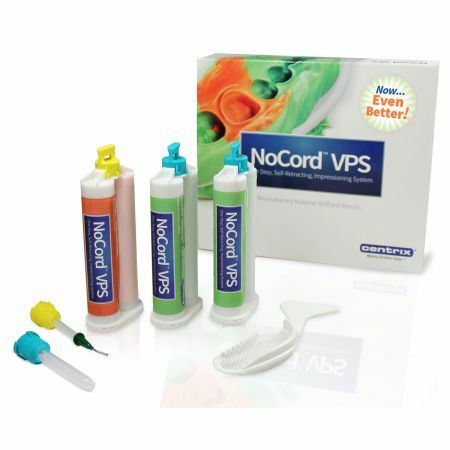 It’s the perfect cement for use with Access Crown® and bis-acryl composite resin. Are additional mixing nozzles available? Is this the same formula as Centrix discontinued Access Automix temporary cement (in a 50ml cartridge)? 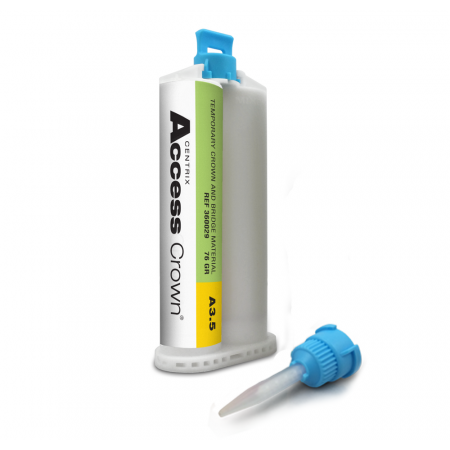 Description: Access is a eugenol-free temporary cement with calcium hydroxide, is easy to process and does not influence the setting of resin-based filling and luting materials. Access is recommended for patients with known allergies to eugenol. Access contains calcium hydroxide to support tooth vitality. Indications: Access is used for cementing temporary crowns and bridges, inlays and on-lays. Contraindications: Access contains zinc oxide, magnesium oxide, calcium hydroxide, fatty acids, modified rosin and vegetable oils. Do not use in cases of known sensitivities or allergies. Remove the cap from the automix syringe with a 90° turn counterclockwise. Place and lock the mixing tip type 10 with a 90° turn clockwise. 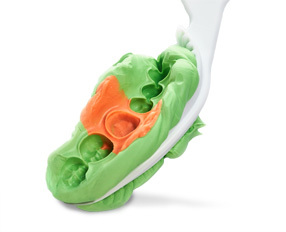 The material is automatically mixed in the mixing tip. All Access syringes come with a detachable piston. The piston can simply be pulled from the syringe and replaced without causing any material leakage. The plugs in the syringe chambers remain in place, preventing cross-contamination of the materials. To obtain a softer material and to keep Access workable for a longer period of time, add a small amount of petroleum jelly. A harder and faster setting material is obtained by adding zinc oxide (temporary sealing). Apply a thin layer of Access inside the temporary crown or bridge and affix it to the prepared tooth. Access Temporary Cement remains workable for about 1 minute. 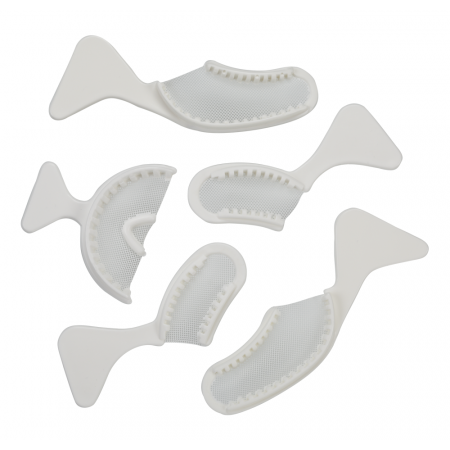 All materials set in the mouth within 4 - 6 min. Place the temporary into the mouth. Remove any material excess after 3 - 5 min. Pulp protection (e.g. calcium hydroxide cement) is recommended in cases of exposed pulp or inadequate dentin thickness. The sensitivity of cores can be reduced by using desensitizing preparations prior to temporary luting. Remove these materials completely before permanent luting (Do not use preparations containing eugenol! ).Extensive superficial and multi-surfaced cavities as well as temporary long-term sealing work should be treated with a harder cement. Moisture (humid cores) further facilitates removal of the temporary. Before removing Access residues, spray with a cooling spray and wait for a short time.